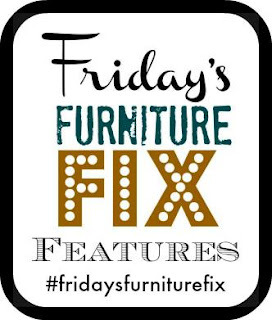 It's another round of Friday's Furniture Fix and we're so glad that you're here! 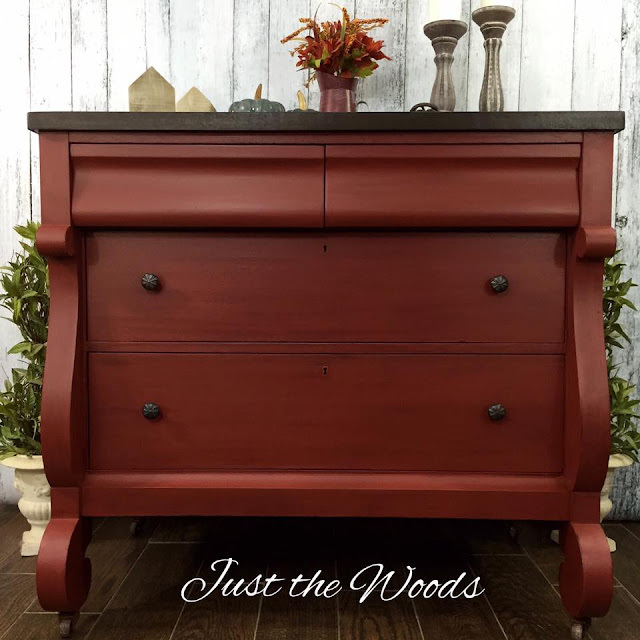 Thank you to all of you who shared your furniture makeovers with us this past week! Today, we've got a little bit of mid-century, mixed with rustic and a dash of classic to share with you! Enjoy! Here are our favorite picks for this week! 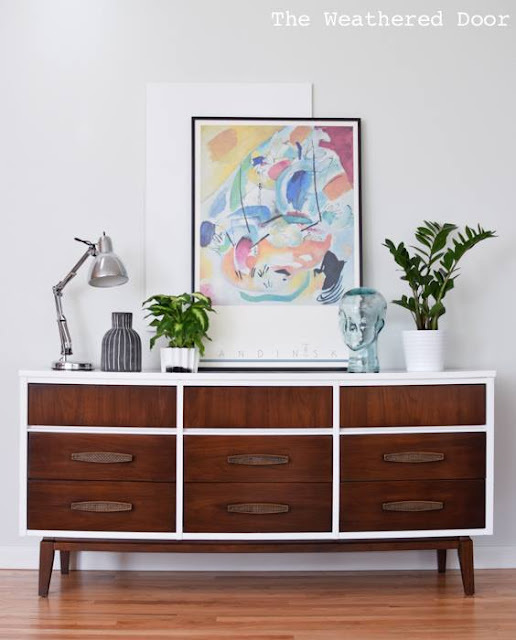 Are you drooling over this Gloss White and Dark Wood Mid Century Dresser? We are too! 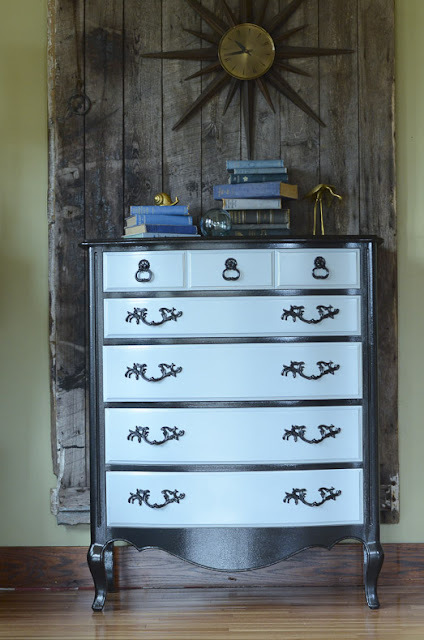 Reeves from The Weathered Door always creates MCM pieces that shine and we think this one is no exception! Can you believe somebody pitched this lovely French Provincial Dresser to the side of the road? That lucky Rachel from Queen Patina took it, slaved away and worked her magic on it! If you're interested, she has an interesting read on a new paint line that's she's discovered! We're smitten with these fabulous Industrial and Modern Chairs that were created and up-cycled from a set of old leather chairs. 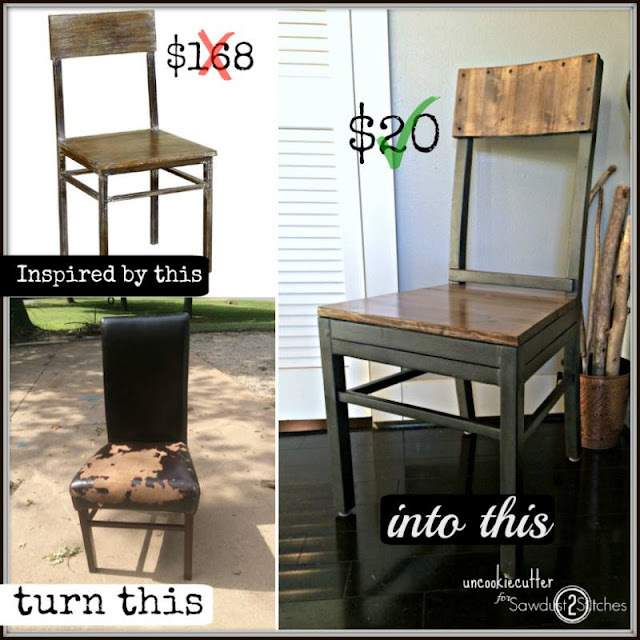 April from Uncookiecutter revealed these chairs as part of her Dining Room Makeover and shared the tutorial for them at SawDust 2 Stitches. It's a must see! 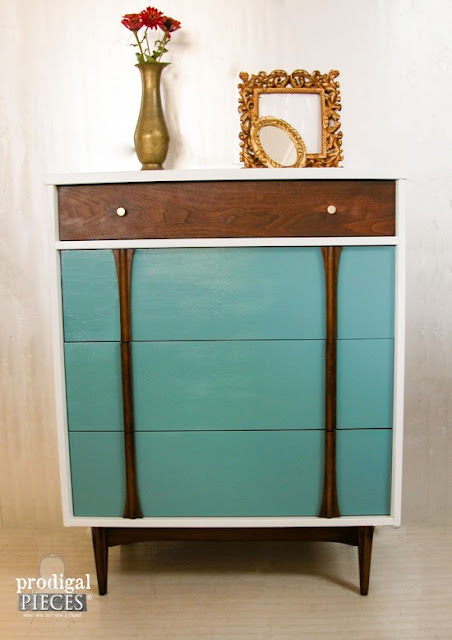 Our most popular makeover this week goes to Larissa from Prodigal Pieces for her stunning three toned Mid Century Dresser. What a fun and charming piece. The blue color blocking sure caught our eye!